Like your health insurance policy, dental insurance comes with an annual deductible. This is the amount you pay before your policy benefits begin. You want to know exactly how your dental policy works. So here’s what your policy pays after your annual deductible is met. Your cost is $49.06 a month! Your cost is $28.05 a month! Your eyesight is important, too. 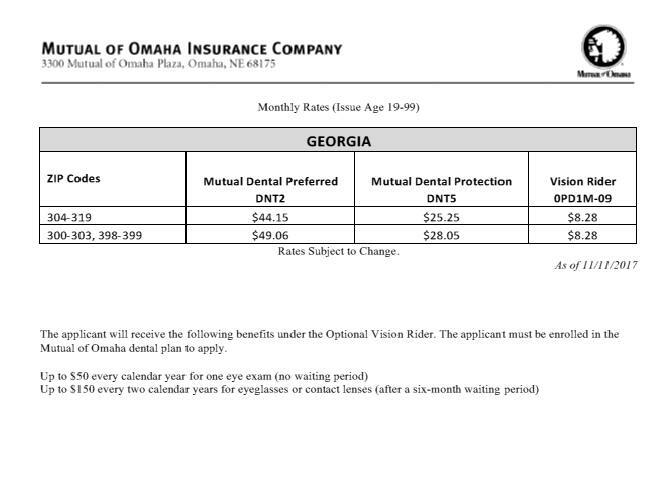 Adding our optional vision care benefit to your dental insurance policy can keep you seeing clearly. For 8.28 per month, you have a vision benefit that helps reimburse you for your vision care expenses. And you can use your vision benefit in conjunction with any other vision care benefits you may have.